Is This Life Changing Template & Training For you? Whether you’re somebody, missing your spark and direction in life, feeling stuck or confused about your future, wanting to do more, be more, achieve more, seeking clarity about where your life is heading, unclear about what is important to you, desperate to accomplish those goals that have long seemed out of reach, or looking for a life plan to transform your life, it’s time to get specific with your goals and plans. The clearer these are, the better! 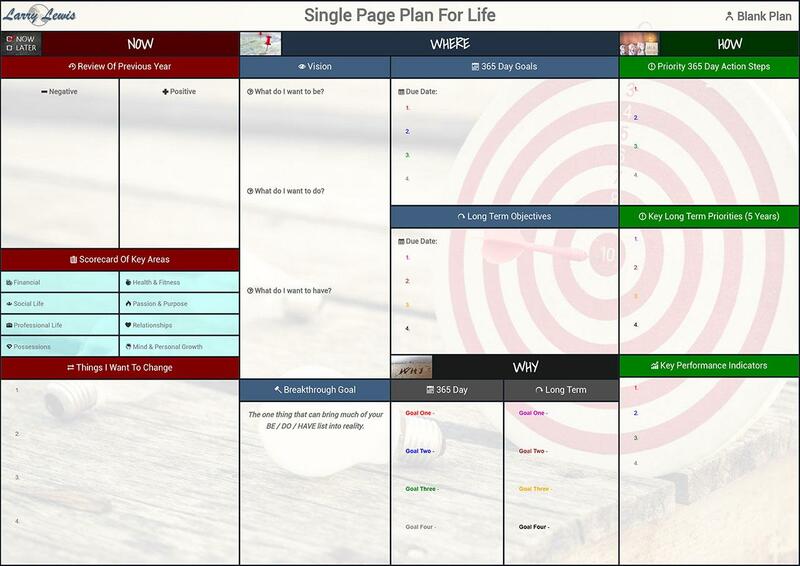 Let the Single Page Plan be your Sat Nav to the life of your Dreams! ADVISORY: Please only register if you are prepared to devote up to two hours of focused time to create your Single Page Plan for Life. This is the same step-by-step process I use with my 1:1 coaching clients.